The Year 11 student was chosen along with 92 other youth leaders across the state to participate in Youth Parliament where they will debate their bills next month. “The bill we are working on is to implement a mental health screening process to catch people in primary school and have that screening process continue throughout high school,” Miss Goufas said. “Some people go through life thinking that what they are feeling is normal but when in retrospect they could have gotten help,” she said. 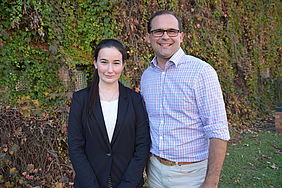 Member for Toowoomba South David Janetzki MP congratulated Miss Goufas on her hard work to voice issues that were important to local youth. 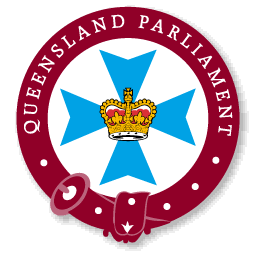 “Youth Parliament is a great opportunity for young people like Alex to be a voice for their peers, learn about Queensland’s democratic process, share ideas and debate bills in parliament,” Mr Janetzki said. “Alex and her fellow youth leaders are bridging the gap between legislators and young people in Queensland,” he said. Miss Goufas is part of the Department of Health and Disability Services committee and is on the refuting team where she writes amendments to the bill they are working on. Youth Parliament members will return to Parliament House next month to debate their bills during residential sitting week. Miss Goufas hopes for a career in screenwriting or producing. Image Caption: Qld Youth Parliament Toowoomba South representative Alex Goufas and Toowoomba South MP David Janetzki.